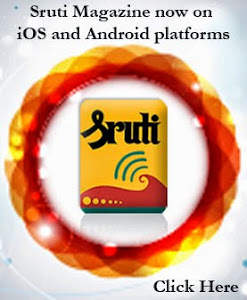 Simple Man/ Great Music was how Sruti magazine headlined him when he passed away in 1984 at the age of 61. He was a cult figure among Carnatic vocalists, with his deep bass (some called it baritone) voice mesmerising his ardent fans as much as his slow pace and extraordinary bhava. These fans were to be found in the most unlikely corners of the world, from distant villages in south India to the sophisticated festival venues of the Indian diaspora. Manjapara Devesa Ramanathan, who hailed from the same village in Palakkad district as veena vidwan MA Kalyanakrishna Bhagavatar, was a disciple of Tiger Varadachariar, whom he worshipped so devoutly that he is said to have even imitated his master’s squint. MDR came from a musical family and had his first lessons from his father Devesa Bhagavatar. He acquired a BSc Physics degree from Victoria College, Palghat, and then went to Madras in search of a guru for advanced music learning. His father took him to Kalakshetra, where the Sangita Sironmani course was being launched. Thus Ramanathan became Kalakshetra principal Tiger Varadachariar’s first pupil—his only one in the inaugural year of the course. Guru and sishya developed a strong bond, with Tiger showering his love and affection on his young student. For all his guru bhakti, MDR chose to follow a vilamba kala or slow tempo orientation all through his music career from the late 1940s to the late 1970s. 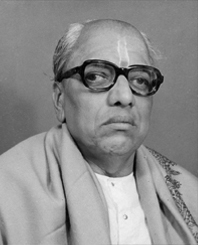 Like Ariyakudi Ramanuja Iyengar, Tiger was a master of the classical madhyamakala or medium tempo, but MDR knew that his voice was better suited to a slow pace. During a long and distinguished career, MDR came to be known as a classy musician, though hardly a great crowd-puller as he never played to the gallery. 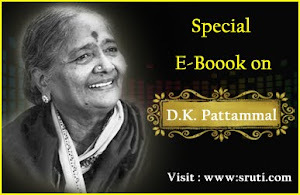 Among south Indian singers, he was a unique purveyor of expansive raga alapana, with his oft-repeated Sahana, Sri, Kedaram, Reetigowlai and Yadukulakamboji standing out for tonal purity and depth of bhava. In time, MDR became an institution at Kalakshetra, where his concerts were the highlight of the music part of the annual festival there, with superb accompaniment from the likes of TN Krishnan and TV Gopalakrishnan. He was also a most popular teacher there. Refusing to allow students to notate or record his lessons, he repeated them with infinite patience until he was sure they had got it right. He told great stories in class, and his humour was infectious. Though a successful composer of some 300 songs, he rarely taught his students his own compositions. He instead reserved them for spontaneous outpourings at temples he visited. He was not only a good teacher, but also made his students feel wanted. He established such a good rapport with them that he did not hesitate to raid their tiffin boxes. He also delighted in singing songs poking fun at colleagues who happened to pass by while his class was in progress. His love of Horlicks during concerts was apocryphally famous. Though his genius was otherwise amply recognised by way of awards, he was arguably the greatest musician to have missed the ultimate accolade of Sangita Kalanidhi at the Music Academy, a campaign by friends and admirers to obtain the honour for him in the last year of his life proving infructuous. Though there have been demands for the title to be conferred on him posthumously, MD Ramanathan’s greatest award has probably been the love and devotion of thousands of genuine music lovers. 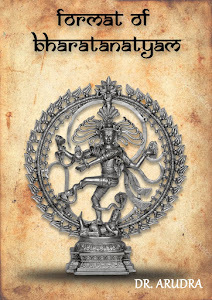 GREAT SRI MDR, WHAT BHAVA AND DEVOTION AND FLUENCY AND DIVINE TOUCH IN HIS RENDERINGS. God snatched him to be with him so early. My his blessings be showered on all from heaven where he should be. A divine musician, teacher who sang for him and not for crowd. His Reethigowla raga Paripalaya PARIPALAYA is so beautiful. .
Yeh dhuan sa kahan se uthta hai?